Prevailing law in New York State favors the making of a Last Will and Testament. The person making the Will (called the testator) may leave his property to any person that he chooses. However, those who would inherit if the testator did not make a Will, known as intestacy, have the right to legal notice when the Will is eventually offered for probate. New York notice requirements allow the persons who would be notified (called distributees) the opportunity to contest the Will being offered for probate if they choose. If their contest is successful, the distributees may have the Will overturned, resulting in intestacy, as if there were no Will, or negotiate a settlement from the Estate in order to pragmatically dispose of the contest. This process is easy to imagine if the person offering the Will for probate knows who to contact in order to deliver the legal notice that the Will is being offered for probate. 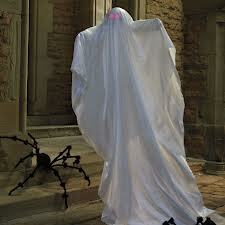 This post will discuss how “ghosts” are treated under New York law. A ghost is a term describing a person who we think could or has existed, but we do not know their name or whereabouts. Examples of ghosts are as follows. The testator had a brother with whom she became estranged. As a result, no one knows if the brother is alive or where he may live. While no one may expect the testator to leave her estate to her long lost brother, instead of to her best friend, the Court will still require efforts to locate the brother before admitting the Will to probate. Another common example is when an elderly testator (who was an only child) never married and left no children or grandchildren. This testator’s distributees could be first cousins or first cousins once removed. The Court will require efforts to locate these persons. The ghost, having an interest in the proceeding, has the right to appear in Court on the return date of the Citation on which it is named. Since the ghost may not actually exist or may be unable to be found, the Court will appoint an independent attorney, known as a Guardian ad Litem, to represent the interest of the ghost. The Citation must be advertised in a newspaper as identified by the Court. Sometimes the Court selects a newspaper that offers the most competitive rates for the Estate, while in other cases the Court may select a newspaper of ethnic interest if the ghost may be of a specific ethnicity. After the Court appearance marking the return date of the Citation, the Guardian ad Litem will issue a written report as to whether admitting the Will to probate is recommended. Both the Court and the Guardian ad Litem will wish to see the proponent of the Will offered for probate complete the following tasks. The attorney for the Estate will discuss the family composition, circumstances of the making and execution of the Will (if the attorney also conducted this task), efforts to locate the ghost and the like. A family tree should also be drawn. The best time to complete the family tree is when the Will is drafted and the testator is still alive. Public documents such as birth, marriage, death and divorce records can be submitted to support claims that a distributee predeceased the testator. Telephone and internet directories can be used to locate the ghost. For instance, an internet search can be conducted in the likely locality where the ghost was last known to have resided in efforts to locate him. The testator’s personal letters and address books can be reviewed for the last known address of the ghost in order to correspond and attempt to obtain a response. The efforts made to locate the ghost will be included in a Due Diligence Affidavit to be submitted by the proponent of the Will or the attorney for the Estate for consideration by the Court. Should the Court be satisfied with the report of the Guardian ad Litem, Due Diligence Affidavit, Proof of Publication of the Citation, Family Tree Affidavit and other proofs requested, the Will will be admitted to probate and the wishes of the testator will be met. Our firm is available to assist in the drafting and administration of Wills on behalf of its estate practice clientele.